My skin gets super dry and itchy in winter, and regular lotion just won’t cut it. 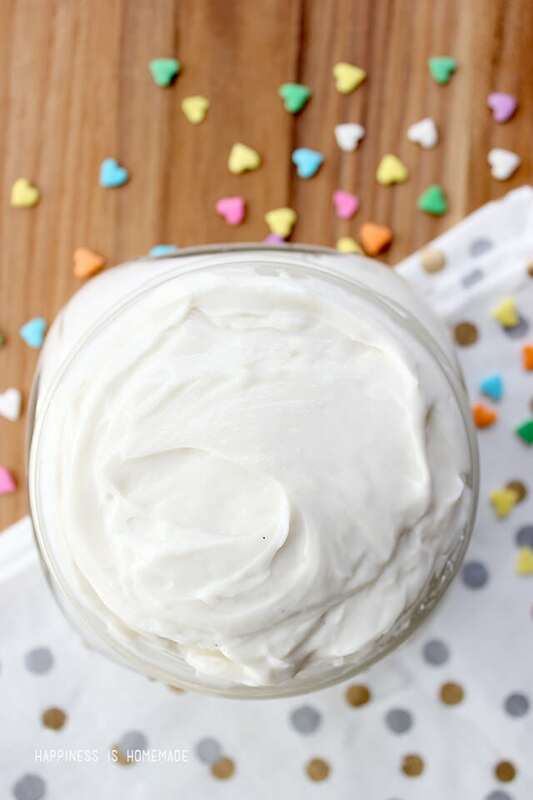 I love using rich and creamy body butter to keep my skin soothed and nourished, so I was thrilled to discover that it is incredible simple to make at home. 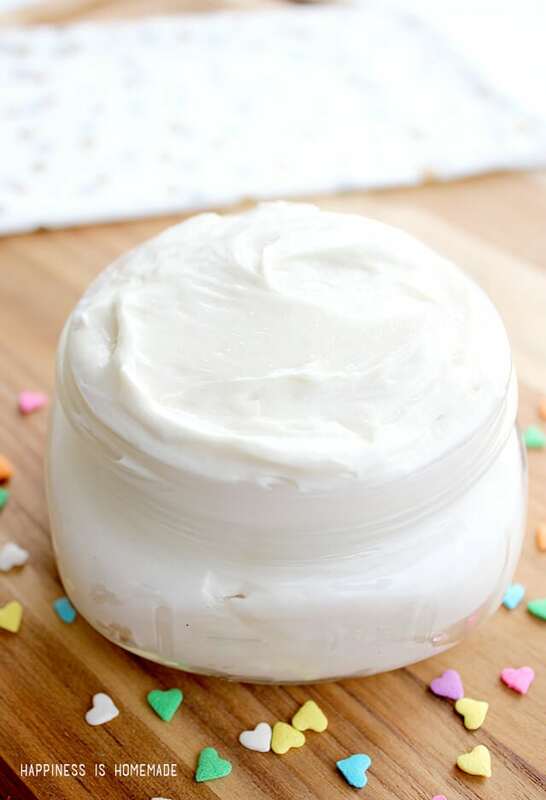 This homemade whipped body butter is thick and luxurious, and you can use any scent or fragrance that you like – I made my batch a sugar cookie body butter (yum!)! In a small saucepan, melt the oils together over low heat. I used 1/3 cup each of the coconut oil and shea butter and 2 tbsp almond oil. Carefully pour the liquid oil into a chilled bowl, mix in 20 drops of fragrance or essential oil, and allow to sit until the oil begins to harden. You can throw the bowl in the fridge if you want to speed up the process, but be careful not to let it get too hard! You want the oil to be firm, but not solid, for the next step (about the consistency of softened butter). 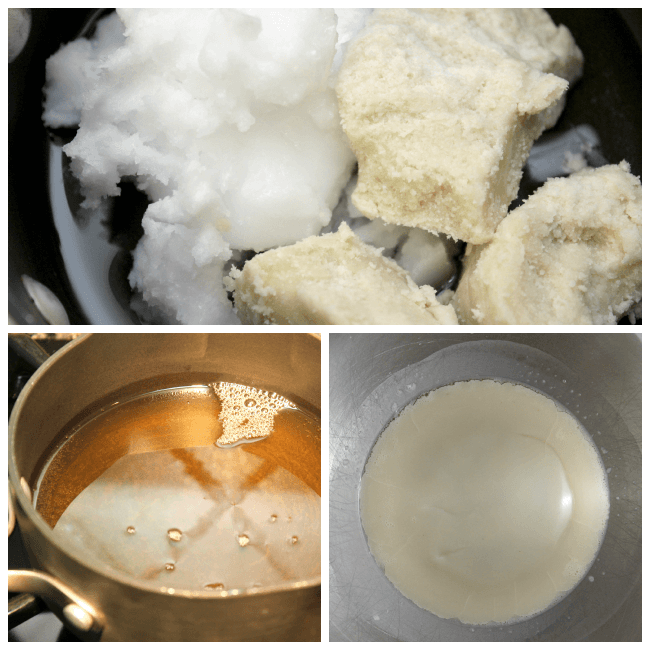 When the oil is ready, whip with a mixer for several minutes until the body butter is fluffy and the volume has increased. This stuff smells SO good – like warm cookies fresh from the oven! The oils in this recipe are all naturally moisturizing, so it feels like a luxurious spa treatment every time I apply it. My dry winter skin is finally happy! This recipe makes just over a cup of body butter, so it fits perfectly into one of these short little mason jars. Package it with a cute bow, and you have an easy peasy DIY holiday gift that’s ready for giving! 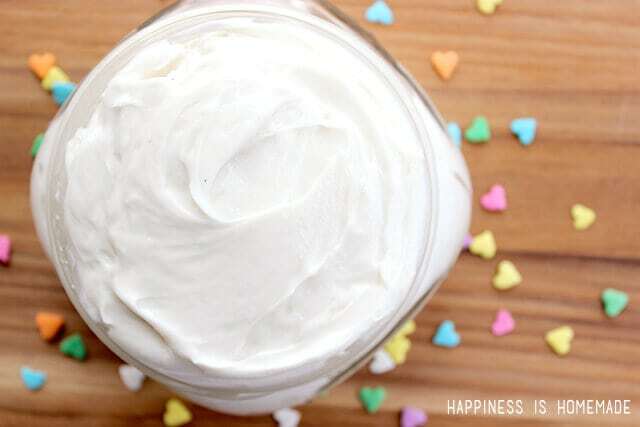 I love this sugar cookie body butter, and I’m already planning my next batch. I think a relaxing nighttime lavender body butter would be incredible, but a zesty citrus fragrance would be awesome, too! What fragrance would you try first? I’ve always wanted to try to make my own body butter. There is no excuse not to try it now. Thanks for the great tutorial. So that’s where I went wrong! I tried to make some cream for my dry chapped hands using essential oils and coconut oil but it’s really greasy – and I think it’s because I just melted it and didn’t whip it! Can Jojoba oil be used instead of almond oil? I haven’t tried it, but I would think that it would be an acceptable substitute! Let me know how it works out if you try it! I absolutely love this idea. I think I am going to try this with my daughter to make as gifts for clients. I love the jars. Where did you purchase them? They are perfect. What is the shelf life for the body butter? Thanks for these wonderful DIy Soap recipes. An FB friend came up with a way to make the butter without melting and chilling. 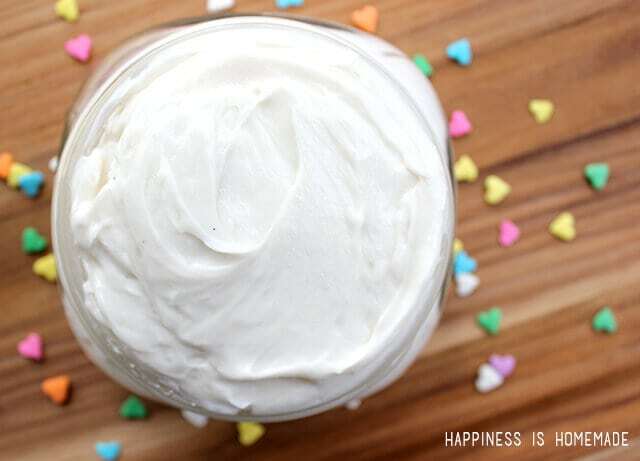 As long as your shea butter is warm enough to mash with a fork, you can cream it with the mixer (just like you would do real butter for cookies), then add in your oil (keep whipping) and it comes out like fluffy frosting. 🙂 I made mine orange, but sugar cookie sounds yummy! Because of this coconut oil, will this melt if it gets too warm?